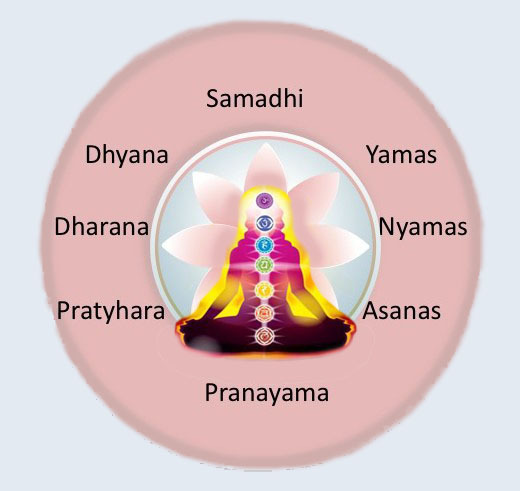 Introduction to Ashtanga Yoga:- In Sanskrit "Ashta + anga" is Ashtanga. "Ashta" means Eight and "Anga" is limbs so it means Eight Limb path, ashtanga yoga is based on Yoga Philosophy of Patanjali. The asanas, Pranayamas or the dharana which we have studied earlier or the yam and niyam are based on the Yoga Sutras of Patanjali. Hence, we will acquaint ourselves with the fundamentals as stated by Patanjali first. Yoga has its roots about 5000 years BC as described in Vedic Philosophy and Tantras. Patanjali , great sage composed this path into a Darshan(Philosophy) in his Book Patanjal Yoga Sutra. Aparigah - A principle of non-hoarding or non possessiveness.